From blog posts to white papers, presentations, case studies, and podcasts. It hits us from all angles – at an increasingly aggressive pace. 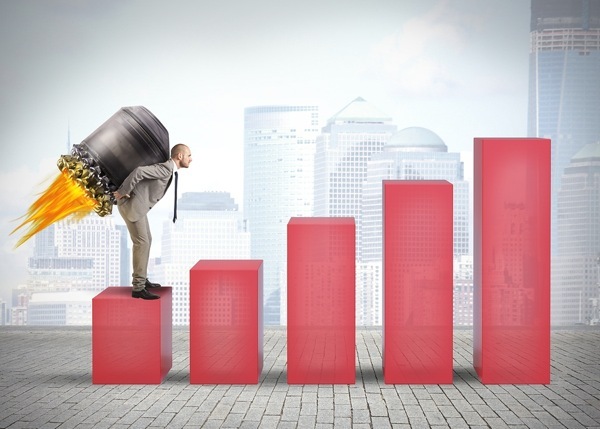 Designhill found that static content overload has desensitized visitors, making it difficult for marketers to capture the interest and attention of prospects. And then came interactive content. Interactive content made it possible for users to engage and interact with the data within the content. 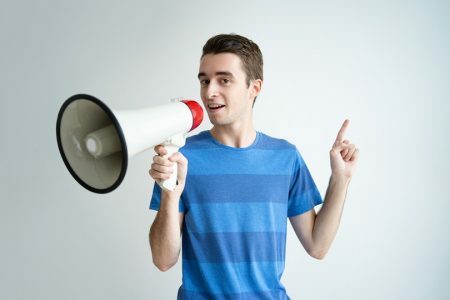 It has caught the fancy of marketers and businesses providing them with a sure-fire way to engage and entertain their audiences. So what is interactive content? It’s the addition of quizzes, assessments, calculators, polls, surveys, animated white papers, contests & sweepstakes. It’s content with entertainment value. But how do you determine the type of interactive content that will best suit your business needs and help you spearhead your content marketing drive? To keep it simple for you we’ve done all the hard work! 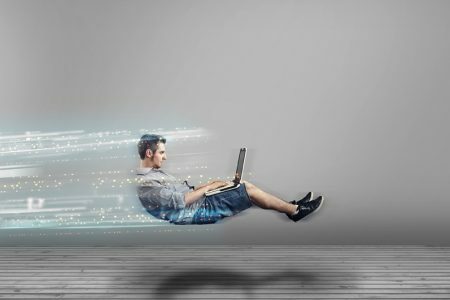 Here’s a list of 5 types of interactive content to supercharge your content marketing. Touted as the staple food for many online services such as SaaS providers and SEO firms, automated diagnostics tools basically generate an assessment of an entity – like a website – and provide users with relative scores. Automated diagnostic tools provide a marketing grade or specific recommendation to improve your website. The realms of these tools are not just limited to a web page, but can be used to analyze and evaluate your social media pages as well. They recommend steps you should take to boost your social media presence and increase your followers. 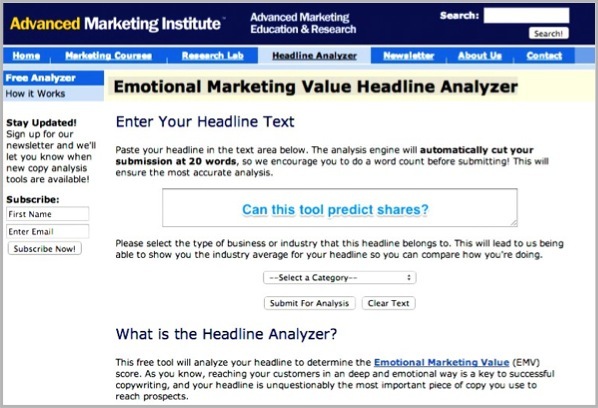 Check out the Headlines Analyzer tool by Advanced Marketing Institute for example. Interactive Microsites are true showstoppers in every sense of the word. They are basically mini-sites that are made on either isolated domains or as a part of a larger website. Popular with service based businesses, interactive microsites are usually about one single topic, and complement the products and services of the parent company. 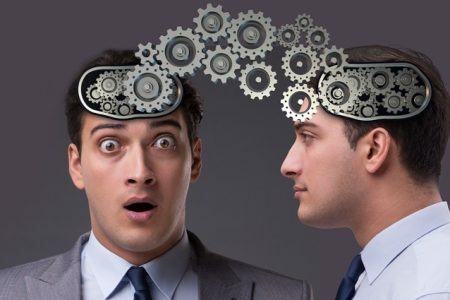 Sometimes, they are just an extension of the brand looking to provide a unique, interactive insight of the company to the users. Such microsites usually focus on elevating readers’ knowledge through a unique narrative, either in the form of a story or how-to guide. 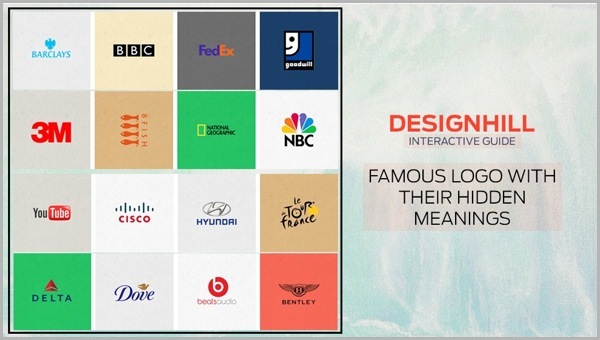 A great example of a microsite is Designhill’s interactive guide to famous logos & their hidden meanings. This short and crisp microsite reveals the mystery of 72 famous logos from across the globe. Companies are using interactive content to showcase and exhibit data. 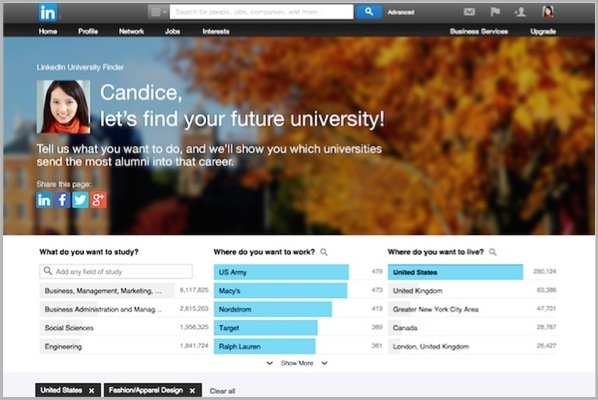 LinkedIn’s Education Tool is a brilliant example of this. This tool attracts younger internet users and enables them to understand how their school friends have fared on their professional journey. 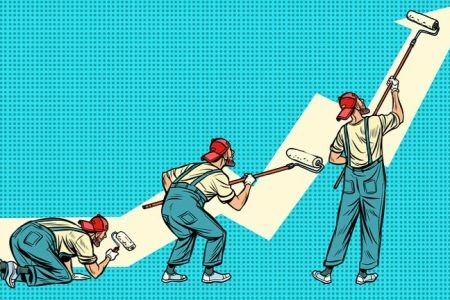 To delve deeper into the world of creative data visualization, check out these 10 examples of captivating data visualizations by HubSpot. First made famous by Facebook, self-assessments and quizzes are used to understand, engage and entertain users. 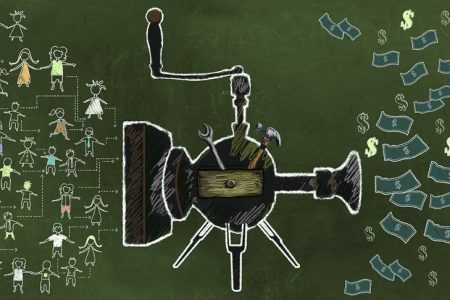 Such interactive tools provide an effective evaluation of your marketing practices or simply act as cost calculators. Buzzfeed has been the pioneer of all kinds of quizzes. 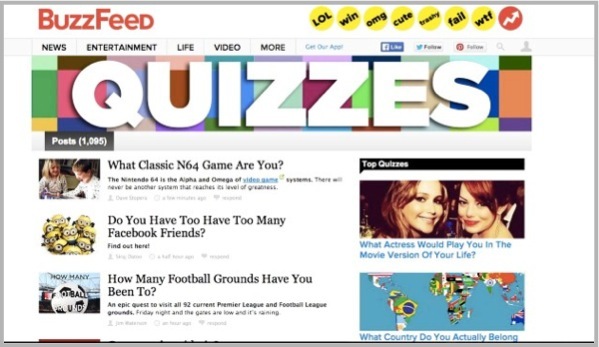 In fact, Quantcast reports that online quizzes have helped Buzzfeed reach 169 million people. Apart from Buzzfeed, some other companies that make regular use of calculators, self-assessments and quizzes are Babadum, KidzWorld and Cosmopolitan. 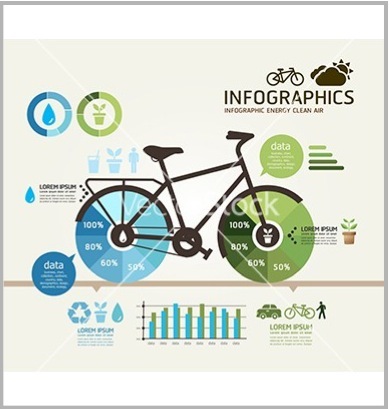 An infographic is the presentation of information or data in a visual fashion. It’s made up of two words – Information + Graphics. They are a mix of great graphics, powerful content and analysis – ideal for today’s age of big data. The ever-decreasing attention span of users and the ever-increasing competition to catch the attention of users make it easy to understand why infographics have become the next big thing for content marketers. Having viral potential, they are loved more, shared more, and viewed more than any other content type. They are a powerful, easy and entertaining form of demonstrating data or a concept to your target audience. Almost every business that is serious about content marketing has come out with infographics to reveal data, research and statistics. Fastcodesign recently revealed a list of 18 infographics that went viral in 2014 and further increased demand for infographics in the ever-so-competitive market. A quirky, intelligent, and well-thought out concept for interactive content doesn’t come easy and should be left to the professionals. 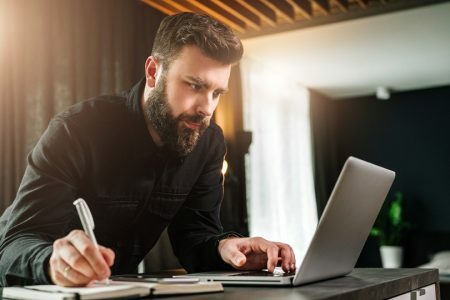 If you are a start-up or a small scale business, your first rule should be to focus on high-quality content, and once you have established yourself – then you can think about interactive content. Let me know in the comments about how you have been using interactive content for your business. Guest Author: Ankit Roy is a visual artist and spends most of his time conceptualizing off-the-rack designs at popular crowdsourcing company, Designhill. In addition, he’s a social media enthusiast, online market analyst and blogger. When not writing, he loves spending his time playing video games and watching sci-fi movies!